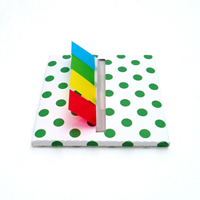 Designer desk dispenser holds 140 pop-up page flags and sticks to your desk for convenient dispensing. 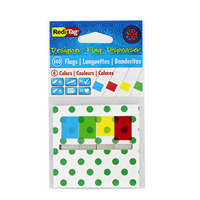 The dispenser can be repositioned and removed without leaving a sticky residue. 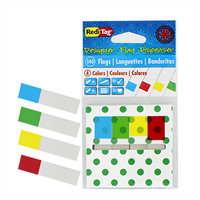 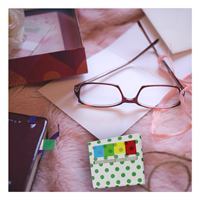 Page flags feature a writable surface and come in assorted colors to easily mark and organize your document. Dispenser Size: 4.75" x 2.75"